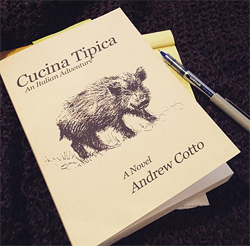 BOOK REVIEW: How Andrew Cotto unravels his Cucina Tipica novel is cleverly maneuvered. I just couldn’t put the book down for much else, until I got to “The End.” As I was about to finish his book, my heart was pounding and so wanting an ending I could live with. Cucina Tipica is story about finding an identity, for someone disheartened, which dates back to our hero’s birth right. Jacoby Pine had an isolated youth, for reasons you’ll want to explore, and it’s doled out in measured increments. Life hasn’t been easy or entitled for Jacoby, and a trip to Italy soothes his soul in many ways. But does he have to return to a life on the East Coast of the US, which was so unfulfilling? The anxiety had tears running down my cheeks, while I feigned irritated eyes to my husband. The one delight I have with any novel written, by someone who’s wine and region knowledgeable, is that I learn so much about our wine business and its culture in the process, almost as much as visiting a wine region. The fact that this book was written where I had just traveled? It held me in spellbound suspense, right up to the time when I finally and reluctantly closed Cucina Tipica, having all of the answers. Last October, I had the good fortune to accompany Michael Yurch, of Bluest Sky Group, to visit two of his Italian clients, located on Central Italy’s peninsula (Castello di Meleto and Colonarra Viticultori), as a guest writer. It was life altering in many ways. Now, if an unexpected inheritance should ever happen, I’d buy an Italian villa, fill it with my entire family, and never look back. That was what I was thinking then, and it’s what I’m still thinking. 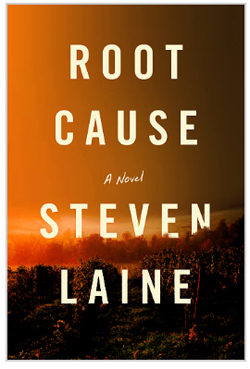 I had no more finished and written a review for Root Cause, by Steven Laine, set in Tuscany, when I received an Email from Andrew Cotto. He’s written a novel entitled Cucina Tipica, and he wanted to know if I’d also read and review his book. If the book’s name didn’t just drag me in immediately (which it did), the fact that it was set in Tuscany absolutely sealed the deal. Yes, indeed, I’d love to read this book… If only because – like Steven Laine’s book Root Cause – the book still had me exploring Tuscany. (I’m not really ready to let anything Italian go.) 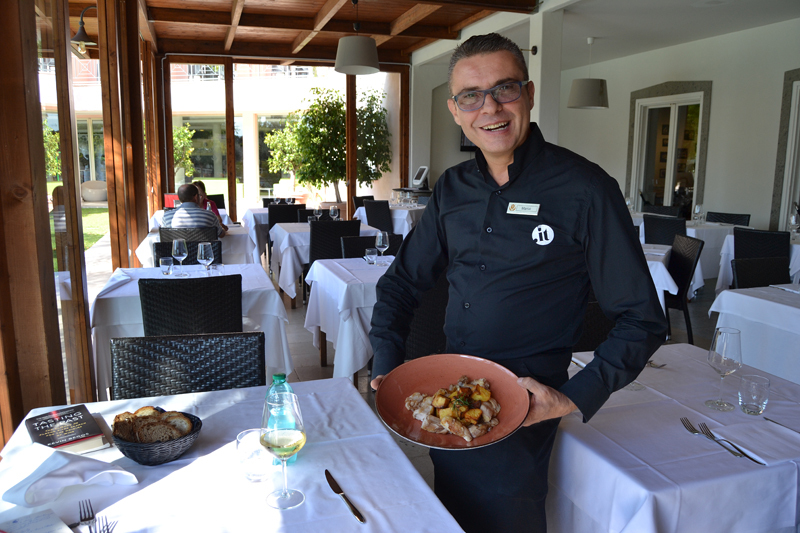 This blog page is my evidence, if you just search on “Italy.” My recent readings, including Cucina Tipica, are keeping a piece of my soul solidly on Italian soil. Andrew Cotto is the award-winning author of three novels and a regular contributor to The New York Times. Andrew has also written for Parade, Men’s Journal, Rolling Stone, The Huffington Post, Condé Nast Traveler, Italy magazine, Maxim, and more. He lives in Brooklyn, New York, and is an educator at local colleges. If you’d like to know more about Andrew Cotto, this YouTube video is very insightful. WINE-BLOG REVIEW: From the moment I touched the book, it was immediate love… The smell and feel of its pages… A tender, Parisienne SciFi, stepping back through a 1950’s portal… all because of a bottle of wine, the right circumstances, and four characters… Every detail of 50’s in this story, and today’s modern times, are found within its pages. There are two realities; or, existentially are they? It’s for the readers to discover. Antoine Laurain has written a very alluring novel, that I will be reading again, just for the fun of it. My eyes were devouring word candy. This captures the heart and soul of Vintage 1954. Antoine Laurain has captivated American readers with charming books that combine a philosophical idea with an uplifting narrative. Each of his books are like a good fable that leave the reader with something to ponder. 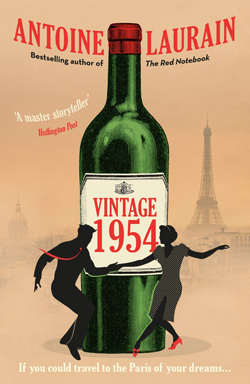 Laurain’s new novel Vintage 1954 features a charming quartet of protagonists, a fabulous bottle of wine, vineyards, a love story and offbeat time travel. 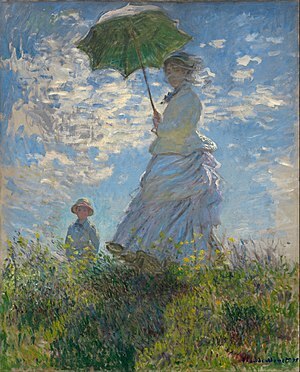 It is set in the nostalgic Paris of everyone’s imagination — when Paris was truly the style and cultural capital of Europe and the epitome of utter Frenchness. When Hubert Larnaudie gets locked in the cellar of an old apartment building that’s been in his family for generations, he celebrates his rescue by opening an exceptional bottle of 1954 Beaujolais with his new friends, a ceramics restorer, a bartender, and a tourist from Milwaukee. They have no idea that this batch of wine has special properties. One sip and the next morning they wake up are find themselves in Paris in 1954. How are they going to get back and what will they learn in the process? After their initial shock, the city of Edith Piaf and ‘An American in Paris’ begins to work its charm on them. The four delight in getting to know the French capital during this iconic period, whilst also playing with the possibilities that time travel allows. But, ultimately, they need to work out how to get back to their own lives. And the key lies in a legendary story and the vineyards of the Chateau St Antoine. Novelist, journalist, screenwriter and collector of antique keys Antoine Laurain was born in Paris in the early 1970s. After studying cinema, he began his career directing short films and writing screenplays. His passion for art led him to take a job assisting an antiques dealer in Paris, an experience which provided the inspiration for his prize-winning debut novel. 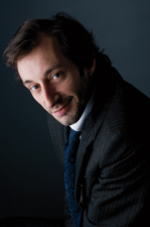 Antoine Laurain is a journalist, antiques collector and award-winning author. His novel The President’s Hat was a Waterstones Book Club and ABA Indies Introduce pick in 2013. Antoine represented France at European Literature Night 2014. Gallic also published his novels: The Red Notebook, French Rhapsody and The Portrait. 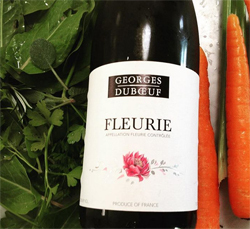 Georges Duboeuf ‘Flower Label’ Fleurie 2015 100% Gamay’s Harvest is done manually, with whole bunches, de-stemmed. Indigenous yeasts are used for fermentation at temperatures between 82°F-86°F. Maceration is between 8-10 days. After a careful selection of grapes from small parcels in the region, they are pressed and undergo temperature controlled fermentation in stainless steel vats. Twenty percent of the wine is aged in French oak barrels. Harvest is done manually, with whole bunches, de-stemmed. Indigenous yeasts are used for fermentation at temperatures between 82°F-86°F. Maceration is between 8-10 days. Fleurie is a temptress, a bouquet of flowers, where you just bury your nose to take in of the sumptuous aromas. I really loved this one. Hints of spring, when my irises, violets, and roses begin to bloom again…. those aromas! Then, it develops into more rich flavors of summer, then into fall on the finish. Before it finished, though, the mid palate was the joy of juicy strawberries just picked. It followed into the roundness of peaches, and finished with deep purple/brown figs. This is a wine that I’d recommend to anyone, at any time, because it makes you think! Still, some of us do occasionally enjoy the calendar’s marking, also knowing that every act of love all year long is still a Valentine’s Day moment. 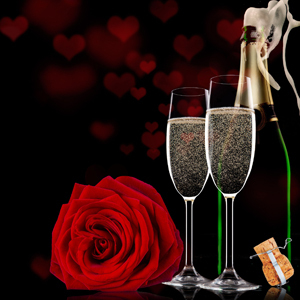 Saint Valentine, the patron saint of lovers… This lovers’ festival dates from at least the fourteenth century. Imagine… Blessed are those who find true lovers and true love. Does anyone else feel it’s easier to digest food, with this sparkling wines’ carbonation? It settles my stomach, I’m not sure about yours. I just know my body that well. And… I love bubbles. So, I looked up: “Is Champagne good for digestion?” Sure enough! 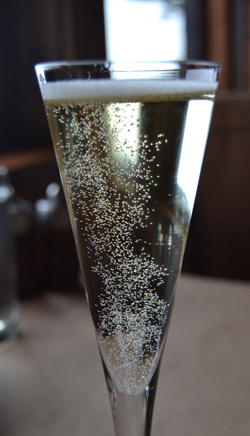 Champagne is packed with polyphenols, which are antioxidants from the grapes. They help protect your brain and your heart, keep your blood pressure low, and increase the “feel-good” chemicals in your brain. As it turns out, champagne is very healthy. 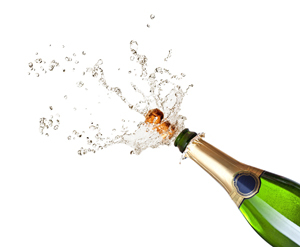 Champagne gives you the same amount of antioxidant heart protection as red wine, and way more than blueberries and most fruits, increasing heart muscle energy production, and protecting your heart’s cells from free radical damage. BRUNO PAILLARD ~ CHAMPAGNE HOUSE… WHERE ELSE? So, I got to acquaint myself with the fruit of Bruno Paillard’s labor. It was pre-Christmas, and I knew I could open this sample and experience it. Santa wasn’t yet watching. These bubbles were just exquisite. It made me want to set the table with Limoges for dinner that evening. SIDEBAR REMINDER: Champagne AOC ~ Appellation d’Origine Controlée (AOC) ~ From Champagne.fr ~ The AOC designation links a product with its geographical origin and makes it subject to rules of production and manufacturing. It expresses the close link between a product and its terroir, coupled with the decisive and enduring impact of human savoir-faire. 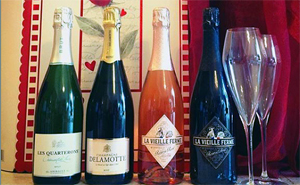 But there is … reason for cellaring these wines: well-made champagnes have an exciting, ever-changing, long post-disgorgement life, evolving through the era of youthful fruit, then flowers, spices, biscuit and finally to the mature elegance of honey and candied fruits after a decade under cork. To indicate where the wine is in its life-cycle, Bruno Paillard states the disgorgement date on each bottle. 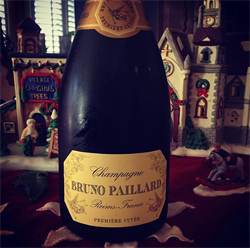 Today it is fairly common practice, but Bruno Paillard was the first in 1983 – and for nearly 20 years the ONLY producer to provide this valuable information. One reason Paillard did so was to counter the widely-held misconception that champagne under cork cannot age. But, older champagnes taste delicious! Just every lovely description imaginable, this was a very fine moment. Highly Recommended. I don’t have to image. I have saved a life; and, I know what an amazing feeling it is to still think back to that fateful day in the 1960s. That moment is as vivid today, as it was then. I saved a man’s life, by ripping open his zipped jacket – like it was zipped with Velcro. But, it was zipped with a good ole fashioned metal zipper. It was truly zipped, while his chest was heaving from the pressure. I knew I had to just rip it open; and I did, like it was a piece of photocopy paper. What an adrenaline miracle! Later, I had to figure out what I had done, because I was in completely in the moment. 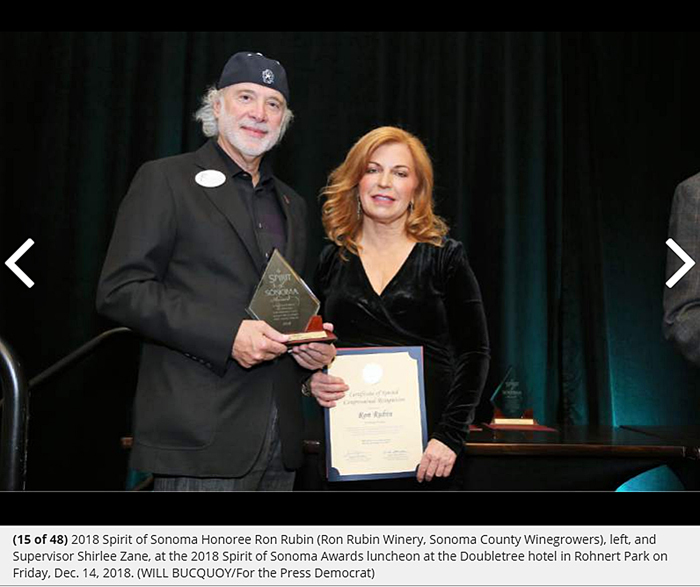 You may have heard about Ron Rubin’s “TRAINED FOR ‘SAVING LIVES'” foundation (Ron Rubin Winery in Green Valley of Russian River Valley). Ron will not stop until he’s supplied 450 Automated External Defibrillators (AEDs) to California wineries, virtually free to them. The suggested retail price for the ZOLL defibrillator is $1,700, BTW. There is a $360 fee to have a staff training by the American Red Cross. In the event that someone’s heart does stop beating in wine country, someone else needs to have the knowledge and confidence to quickly step forward and use the AED. So, training is essential and critical. 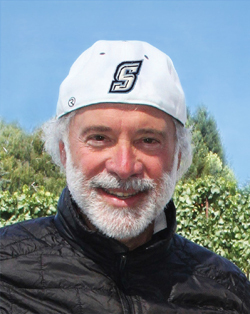 Ron Rubin’s commitment has been receiving prestigious awards for selfless philanthropy. It’s not why he began this journey, however. For Ron, this foundation was created as a “giving back.” Had his son Todd Rubin not been with him on his fateful day, when he experienced a too rapid heartbeat ventricular tachycardia and saved by defibrillator, the likelihood of this foundation probably wouldn’t even exist. But it is a reality, and it’s because of this program that I’m writing to you. Ron Rubin is a client and in my 17 years of working in the wine business, this is the most selfless act I’ve witnessed for the preservation of human sustainability, as a one-on-one, so far. 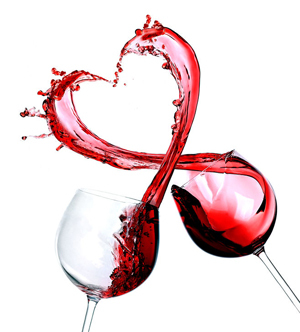 In order for a California winery to qualify to receive its ZOLL AED PLUS, California winery owners (or an authorized representative) must contact Ron Rubin: ron@ronrubinwinery.com. After a winery’s qualifications are approved to receive a ZOLL AED PLUS, it will be promptly contacted, by a representative from the American Red Cross. 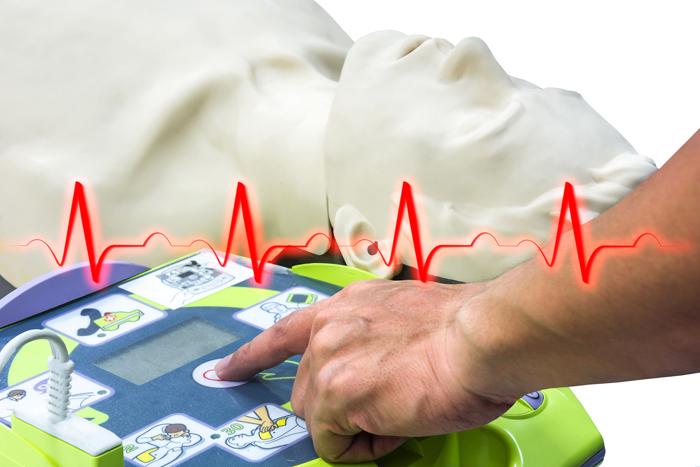 This will be to schedule a CPR/AED/First Aid training for your winery’s team. To be approved, each participating winery must agree to have its staff CPR Training FOR $350.00, payable to the American Red Cross. 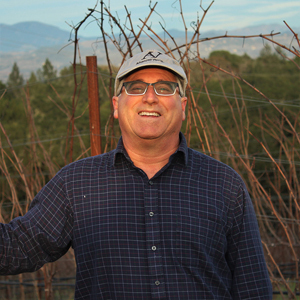 The Sonoma County Winegrape Commission’s 2018 Spirit of Sonoma Award, honoring individuals who contribute to the economic development and enhancement of the communities in which they live, work, and conduct business, through donations of their time and expertise in support of local business and in helping others. North Bay Business Journal’s 2018 Wine Industry + Spirits Awards; a special award specifically given to Ron for his outstanding commitment to the wine community, by donating these AEDs. FROM: WALLIN & KLARICH ~ What are California Good Samaritan Laws? California Good Samaritan laws protect those who attempt to help others. And… minor observation: he’s got an obsession for women’s silk scarfs worn by Corvina, his woman of interest… “a Bombay paisley silk chiffon, draped loosely around her shoulder…” ~ for instance. The drama is epic. It all begins in the vineyard, and it’s also where it ends. 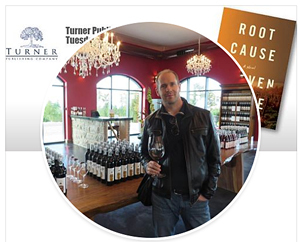 SIDEBAR: Published by Turner Publishing, history lessons are delivered in Root Cause, in ways we might not have yet discovered: prohibition, phylloxera, and Champagnes chalk caves, for instance. Around 80 B.C. the Romans dug into the ground below Reims, France, in the Champagne region to mine salt and chalk. 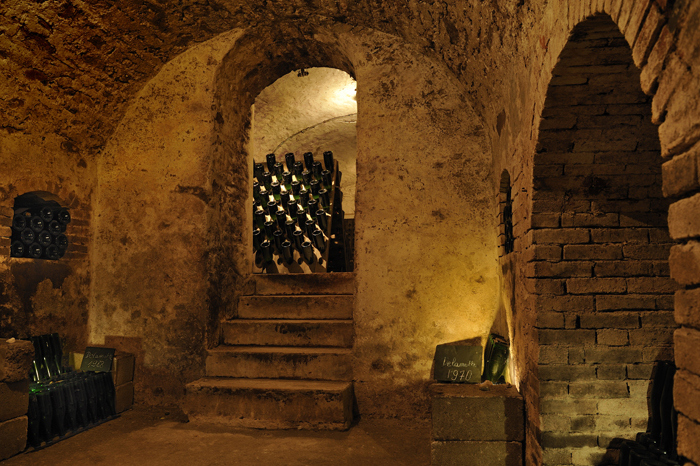 Hundreds of years later, in the 1600s, local winemakers found a new use for these caves: Champagne storage. Since these were the days before artificial refrigeration, the caves provided the chilly temperature, humidity control, and protection from sunlight and vibrations needed for the perfect maturation of this delicate beverage. Wine cellars and caves have a similar subterranean history, when wine was buried in ceramic jugs during fermentation. 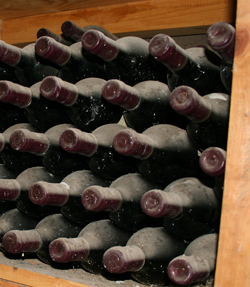 Later, catacombs were used as wine storage, until the French began digging dedicated wine caves. According to his biography, Steven Laine was raised in Ontario, Canada and has dual Canadian and British citizenship. He has traveled the world working in luxury hotels for international brands including The Ritz, Hilton, Starwood, Marriott, and Jumeirah. When he was Beverage Manager of a five star hotel in London, he learned all about wine and has since visited over one hundred vineyards and wineries in Napa, Burgundy, Bordeaux, Champagne, Spain, Portugal, Germany, Switzerland, Lebanon, and South Africa. 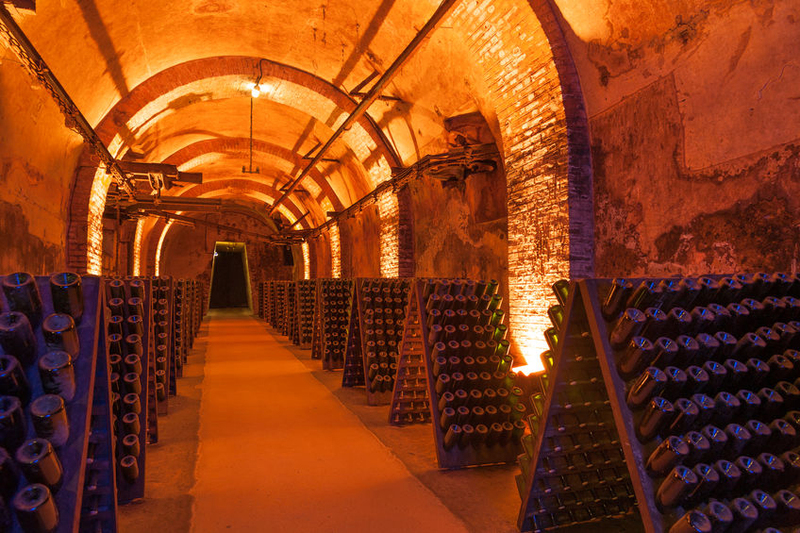 As the only North American ever invited to be a Member of the Champagne Academy, he had the privilege to tour the major Champagne Houses in France. His circle of friends is made up of winemakers, Masters of Wine, Master Sommeliers, restaurant managers, and wine distributors from all over the globe. He is now working on his next novel. And, I can hardly wait for that one, while I highly recommend this one, Root Cause. As for thicker skins, because I’m from Maine and have picked tons (maybe not that many) of wild Maine Blueberries, along the coast line… Think Maine blueberries. 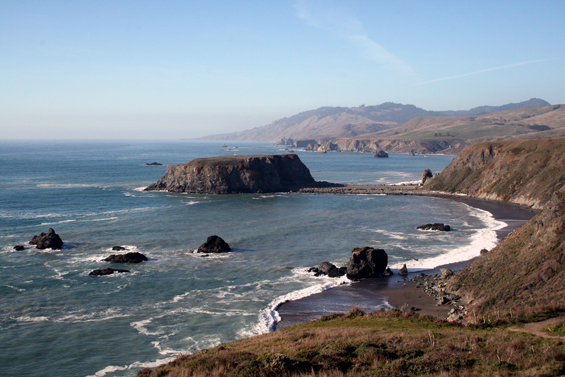 They, too, grow in wild, less-nitrogen soils, along the coastline. The berries are so tiny, and they’re so flavorfully intense… Quality over quantity. Along any coast line, the plants are very hardy, because they’ve adapted to that chilly terroir, otherwise they won’t survive. Now, equate that with Sebastopol’s climate as it equates to the Pacific Ocean, and how that factors into the grape berries that are going to become wine… Let’s just say, you’ve got the beginnings of some very aromatic and flavorful wines. Whites are a natural variety, in this cooler climates. 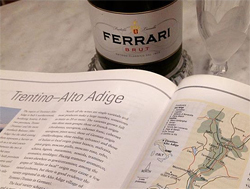 Think about wines from Northern Europe, and Italian Wines along the Adriatic Sea in places like the Marche region. Red wines have to be carefully monitored, because they need a modicum of heat to ripen fully, and when they do… Ooo lala… Polished, restrained, and also quite tasty. I attended a Petaluma Gap wines tasting a while ago, hosted by the Petaluma Gap Winegrowers Alliance. I was very impressed with some of the wines, especially those grown on location and made in small lots, bottling with their own winery name and AVA listed. There are some big name wine companies, buying grapes from this region, too. Names you’d easily recognize, buying grapes grown in the Petaluma Gap area, but they’re not all putting the American Viticultural Area (AVA) on that wine’s labels… yet. As I entered the school house, I realized, no, there were just three of us writers, and an uber selection of wines for us to taste. We sat around a couple of tables, set for my wine writer colleagues Linda Murphy (Writer for – among others – Decanter Magazine, and co-author, with Jancis Robinson MW, of “American Wine: The Ultimate Companion to the Wines and Wineries of United States) and Deborah Parker Wong (Wine Educator and the global wine editor for SOMM Journal, The Tasting Panel, and Clever Root magazines). 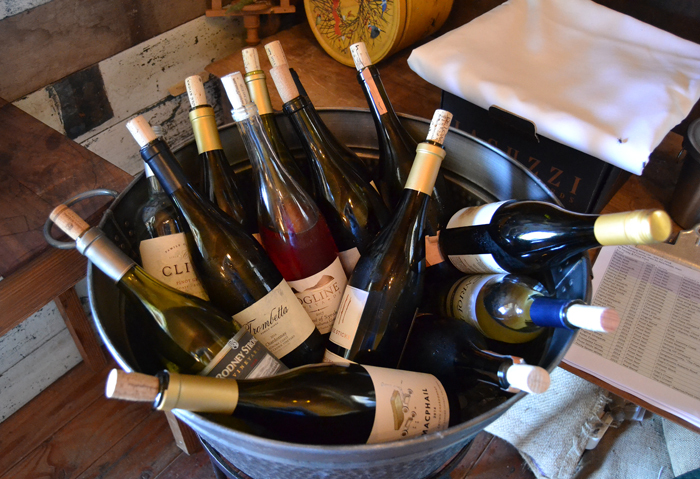 The tasting was organized by Cheryl Quist, the executive Director of the Petaluma Gap Winegrowers Alliance. We were also joined by Erica Stancliff, VP of the Petaluma Gap Winegrowers and Charene Beltramo (our host from Cline Cellars). So much time and energy went into setting up this tasting, just for the three of us, I was so humbled. 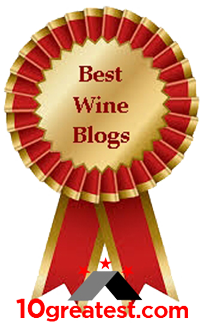 My hat is off to all of the brands and the wines that were submitted. It’s worth mentioning all of them. DeLoach Vineyards slipped in right at the end, so I’m mentioning here, as an FYI. Lots of Pinot Noir and Chardonnays, as one would expect. And now that Syrah is considered to also be a perfect cool climate wine, yes, we tasted a rosé of Syrah, and a few other Syrahs. But then, there were a couple of Italian wines in the mix. Tasting them I thought, “this what Syrah wants to be… A Syrah’s Syrah…. 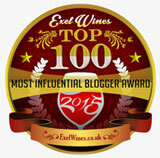 Enriquez Estate Wines Tempranillo (a Spanish grape), I wrote this one as being really lovely. It had delicious strength, more than the Pinots and Syrah. It stood out with great expression. Bring on the castanets. McEvoy Ranch‘s Montepulciano (a Tuscan grape), I very much appreciate those who march to their own drummer, and this wine was that kind of a segue from the Pinots; however, my notes stated: This one is really light and lively with cherry and berry flavors. It was so completely refreshing: yes, please, I’m all in. If I’m coming from the Bay Area to the north, I would be truly remiss if I didn’t get off the freeway in Petaluma. This is such a gorgeous rural area, just after the hustle and bustle of quite a few “down towns” headed north. The Petaluma Gap AVA is perfect for city crazed people just needing a “get me to the county and make sure the vistas will knock my socks off right now” kinda place. It’s Zen, it’s what we hope the just relaxin’ weekend will deliver… including wine. Are you kidding me? And, if the hustle and bustle of other wine country locations north of the bay have you a bit dazed, I’m going right back to the Petaluma Gap. 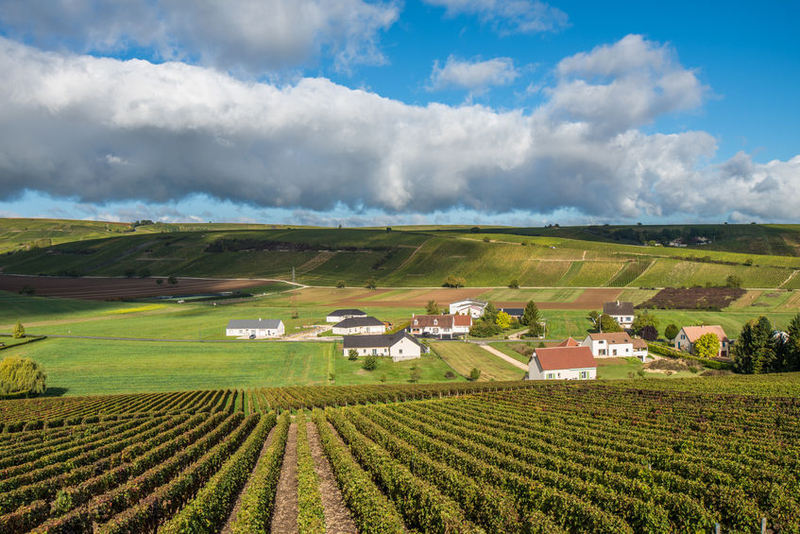 It has backroads less traveled, filled with charm and down home people… and their Burgundian-style wines. These are the wineries with Petaluma Gap grapes in the bottle. Check them out, when you’re looking for a new adventure! 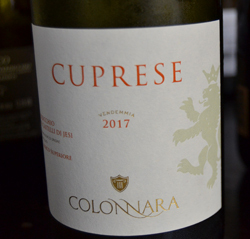 I was so interested in the wine you wrote about that I did a bit of research and happened to find out….the appellation of the wine is actually the Valtènesi DOC…which (amazingly/confusedly) has been discontinued as of 2017 when this happened: the Vigneti Valtènesi Riviera del Garda Bresciano DOC, Valtènesi DOC, and the Classico subzone of Garda DOC were combined as Riviera del Garda Classico DOC. Technically, Riviera del Garda Bresciano DOC was renamed, and it absorbed the other two. 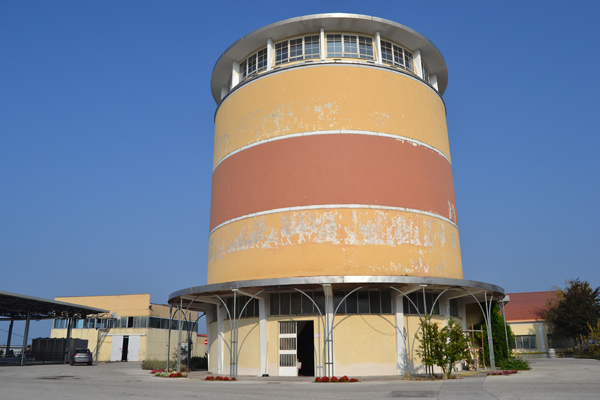 As of June 2017, the Valtènesi DOC no longer exists as a separate DOC, but is considered part pf the Riviera del Garda Classico DOC. The Garda DOC still exists, but without the Classico subzone. (Information via the brilliant Italian Wine Central website). I will remember Le Sincette… Why? 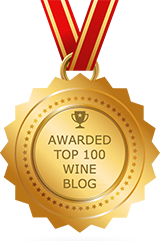 I got to add two new varieties to my Wine Century list, bring me to 175 varieties tasted in my life time of wine. This wine was a highlight for me, because it reminded me of journalist and wine writer Kevin Begos’ book Tasting The Past, and that’s what we were all doing. So many mental connections to this wine were made, so there are now many triggers for my memory of Le Sincette. After consolidation, long-term memories are stored throughout the brain as groups of neurons that are primed to fire together in the same pattern that created the original experience, and each component of a memory is stored in the brain area that initiated it (e.g. groups of neurons in the visual cortex store a sight, neurons in the amygdala store the associated emotion, etc). Indeed, it seems that they may even be encoded redundantly, several times, in various parts of the cortex, so that, if one engram (or memory trace) is wiped out, there are duplicates, or alternative pathways, elsewhere, through which the memory may still be retrieved. 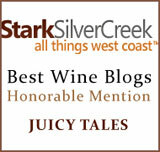 The sample of La Sincette was provided to Wine-Blog for possible inclusion in a story. This Le Sincette, Chiaretto DOC, Italy. [According to Jane Nichols above: the appellation of the wine is actually the Valtänesi DOC] definitely qualifies on the level of being unique. 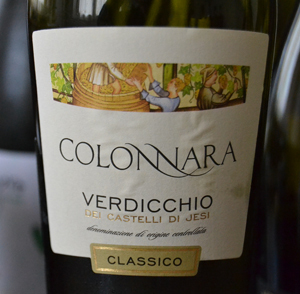 It’s grown in the heart of Brescia’s traditional wine-growing region. But, it’s also on our doorstep for a wine being sold in the US. You, too, can taste from that far away! 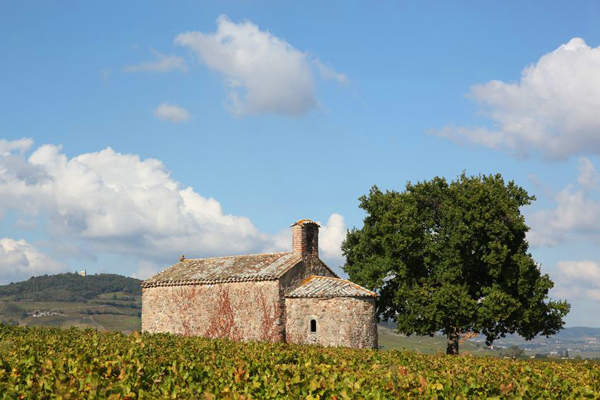 Le Sincette is the name of the plots on which the vineyards and olive groves are cultivated. It is individual and unmistakable, bearing positive connotations through the reference to something precious and gracious. The estate of Le Sincette is located in the municipality of Polpenazze del Garda (Brescia), at Picedo, in the area known as Valtenesi, a land of glacial moraine hills, and southwest of Lake Garda’s Brescian shore. In the heart of Brescia’s traditional wine-growing area, it enjoys a mild climate. The estate covers a total of 86 acres: 27 acres of vineyards and 12 acres of olive groves. 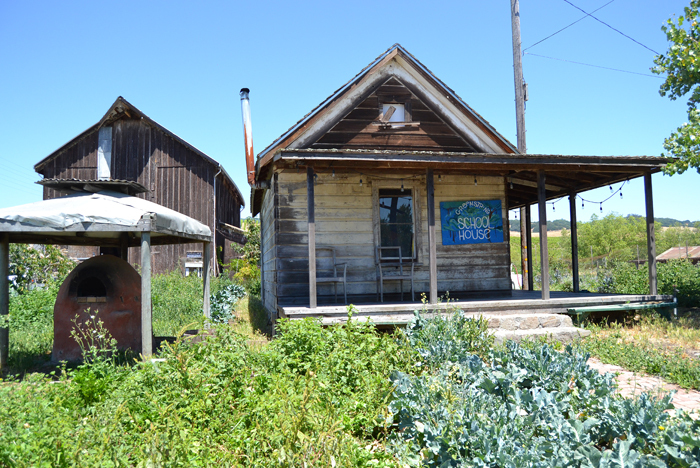 The rest is land cultivated with a rotation of Alfalfa, wheat, and barley. It’s located where? Polpenazze del Garda is a comune (financial location) in the province of Brescia, in Lombardy, northern Italy. It is situated near the western shore of Lake Garda. We are a small company on the shores of Lake Garda. Thanks to our daily hard work and nature’s gifts, we seek to produce a unique wine. This bestows wonderful sensations on those who know how to respect nature and its rhythms, and who love quality of life, simplicity and balance. 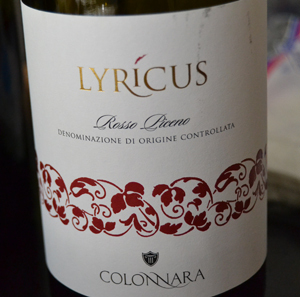 This Rosé is a blend of Groppello, Marzemino, and Barbera. All of the varieties in this blend are from biodynamic cultivation. The production philosophy of Le Sincette wines is based on respect for the balance of nature, and inspired by the principles identified by Rudolf Stainer, founder of the biodynamic approach to agriculture. This involves environmental ethics: the complete exclusion of fertilizers, herbicides, insecticides and synthetic fungicides; protection of the land extended to all forms of life (biodiversity). The BLEND: Groppello, Marzemino, and Barbera. EASY: Barbara, plenty of it grown in California. From Wine Folly: if you don’t know about this Italian variety. NOT SO EASY: Groppello. 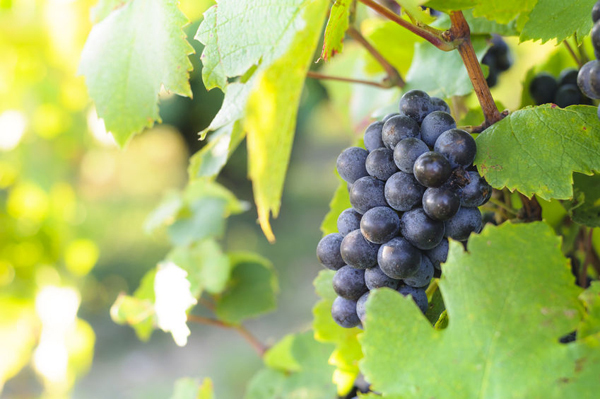 From Wine-searcher.com: Groppello is a red-wine grape variety grown all along the southwestern side of Lake Garda in northern Italy. The Garda DOC that makes use of the variety straddles the regional border between Lombardy and Veneto, and is one of very few DOCs to cross over from one region to another. This may seem very forward-looking and collaborative (it should not be forgotten that Italian regional unity was only achieved in the late 19th Century), but divisions remain: on the Veneto side of the border, Groppello retains its local name, Rossignola. NOT EASY AT ALL: Marzemino. 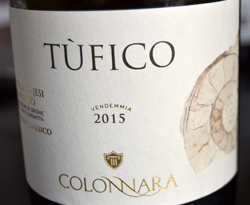 From Wine-searcher.com: Marzemino is a late-ripening, dark-skinned grape variety grown mainly in Trentino-Alto Adige but also in the Veneto, Lombardy and Emilia-Romagna wine regions of Italy… Marzemino’s most prestigious role is as the key ingredient (95 percent) in the sweet Colli di Conegliano Refrontolo passito wines, for which grapes are dried out in the winery (traditionally on straw mats) for weeks or even months after harvest. 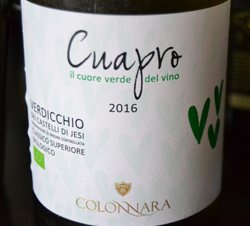 In Lombardy it is almost never used for varietal wine, but is instead blended with the likes of Sangiovese, Barbera and Merlot, notably in the wines of the Capriano del Colle and Botticino DOCs. The art on the label totally gives it away, in so many ways. And, this is a biodynamic wine, details here by VinePair. The official definition of biodynamic farming according to the Biodynamic Farming and Gardening Association is “a spiritual-ethical-ecological approach to agriculture, gardens, food production and nutrition.” Biodynamic wine is made with a set of farming practices that views the farm or vineyard as one solid organism. The ecosystem functions as a whole, with each portion of the farm or vineyard contributing to the next. The idea is to create a self-sustaining system. While biodynamic might seem sketchy to those not connected to their core intuition, it’s the most primal way of feeling nature, acting and reacting. Did you know, for instance, that ancient ancestors used travel the seas for long journeys, with only their own biological compasses. Between the skies visuals, handed down for so many generations of time, and wooden charts they created, they “knew” where land was, because they also followed cloud formations… Clouds were always formed over land. So, that intuition is brought back, with rhymes, reasons, and rituals. It just makes perfects sense to me. I rely heavily on intuition. Tasting a wine that’s only 5-percent alcohol let’s me know that this is an excellent appetizer wine, for a long night of indulging, or swapping off to it, when you know you’ve just about had enough. It’s also a perfect wine from a wine initiate. Among the crowd, remember Le Sincette for any of the reasons listed above. Find it in that crowd, it will be worth your time, energy, and pairing with your favorite foods… All of these wines are wonderful, by the way. I’ve enjoyed each of them and they are to follow.